This color pack is the best way to get your hand on a variety of colors of Stonewashed XL and Riverwashed XL yarns from Scheepjes! 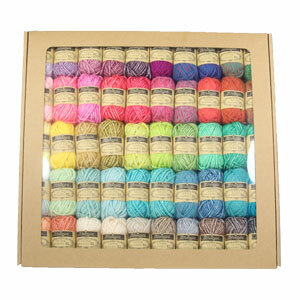 The pack contains a total of 50 mini balls of scrumptious, aran-weight yarn! 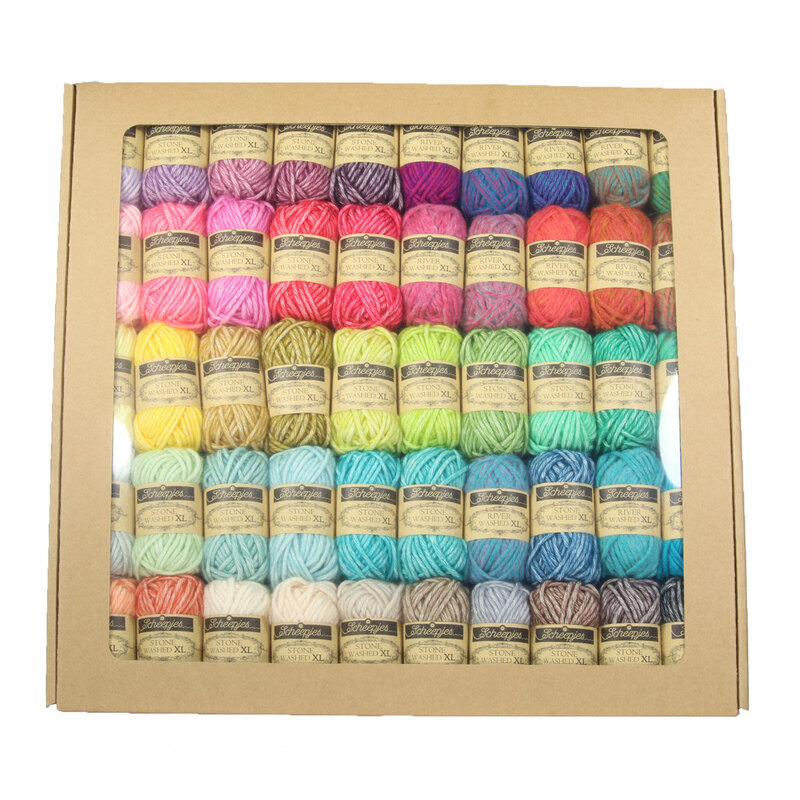 This colour pack is a luxury window cardboard box with handle that contains all 36 Stone Washed colors, as well as 14 colors of River Washed in cute 15g balls. The Scheepjes Colour Packs are perfect for when you want to select new colors for a project, but also for many small multicolored projects. The yarn is machine washable for easy care, making it a great choice for home accessories, garments, and everything in between! Berroco Brielle Yarn is a similar yarn: cotton, machine wash, heavy worsted/aran (16-18 sts/4 in). You may also like Berroco Millefiori Yarn, which is another similar yarn: heavy worsted/aran (16-18 sts/4 in) and on size 8 US needles. You may enjoy taking a look at the Scheepjes Colour Pack Happy Little Tree Blanket, Scheepjes Colour Pack Hot Mess Cowl, and Scheepjes Colour Pack Mug Hug kits all using Scheepjes Stonewashed XL and Riverwashed XL Colour Pack Yarn. Hopefully our suggested project ideas for Scheepjes Stonewashed XL and Riverwashed XL Colour Pack Yarn can help you come up with your next exciting new project idea!